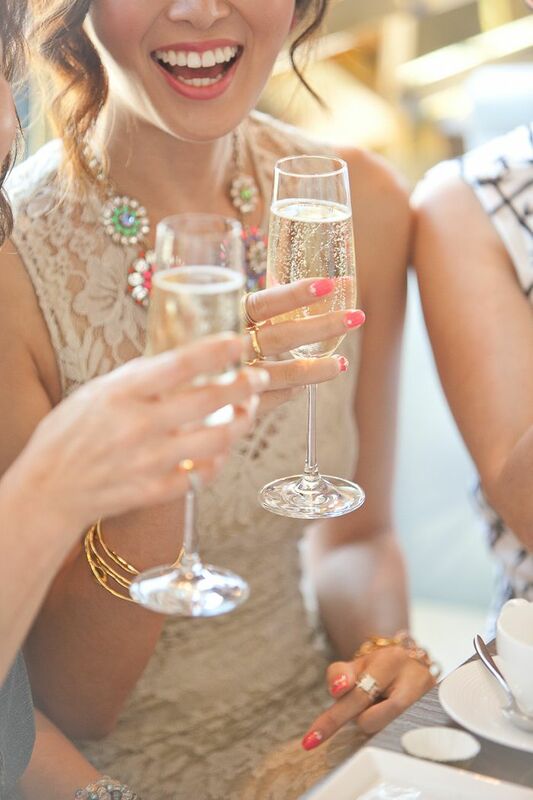 Champagne plays a significant role in the most memorable moments of our lives. Often used as a celebratory drink, it is there for births, marriages, and big life events. Only sparkling wine from the Champagne region is truly considered champagne. France has secured the legal right to only call sparkling wines from this region Champagne, a rule established in 1891 at the Treaty of Madrid. This doesn’t mean that sparkling wines from other regions are not as good – they are still of great quality, it’s simply not labelled Champagne. There is a strict set of requirements that must be met for these wines to be considered Champagne, such as being made using the ‘Méthode Champenoise’ which uses a second fermentation process to create the bubbles, and that the wines must be stored for a minimum of 15 months before being shipped. Another requirement is that only certain types of grapes can be used. Chardonnay, Pinot Noir, and Pinot Meunier are the only authorised varieties. Funnily enough, champagne was created by accident. Monks, who produced it to be used as the sacred wine drunk during mass, originally made wine in the region. The first champagne was created when some wine was bottled before fermentation was complete. They were surprised when the pressure from the gas caused the bottle to explode! As time went on, the Champenois wine makers wanted to create a name for themselves, and offer quality alternatives to wines from other parts of the country. Their main competitor was Burgundy, who produced amazing red wines. Their reds could not compete, as the climate meant they ended up being much lighter than the famous reds from Burgundy. No one expected their sparkling wines to become so famous! Champagne became associated with royalty as early as 496, when Clovis, King of the Franks was baptised in the region, using Champagne wine. Later, between 898 and 1825, coronations of the kings of France were held in Rheims, in the Champagne region. Naturally, people celebrated by drinking Champagne. Dom Perignon is often credited with being the creator of Champagne. This is not true, however he did develop many of the processes still used today in the creation of sparkling wine. He was a monk and was cellar master at his Abby. It was during this time that he started using thicker glass bottles and corks to contain the bubbles, and a better refinement system. What we know as a Champagne flute is the ideal glass to serve sparkling wine in, as wider glasses over-oxygenate the drink. It must always be served cold, at an ideal drinking temperature of 7-9 degrees Celsius. This is why bottles are kept in a bucket of ice and water for serving. Checkout our Cocktail Specials and Live Entertainment every Saturday at WestWaters Hotel.